Jessie Balasabas chips onto the green on No. 14. 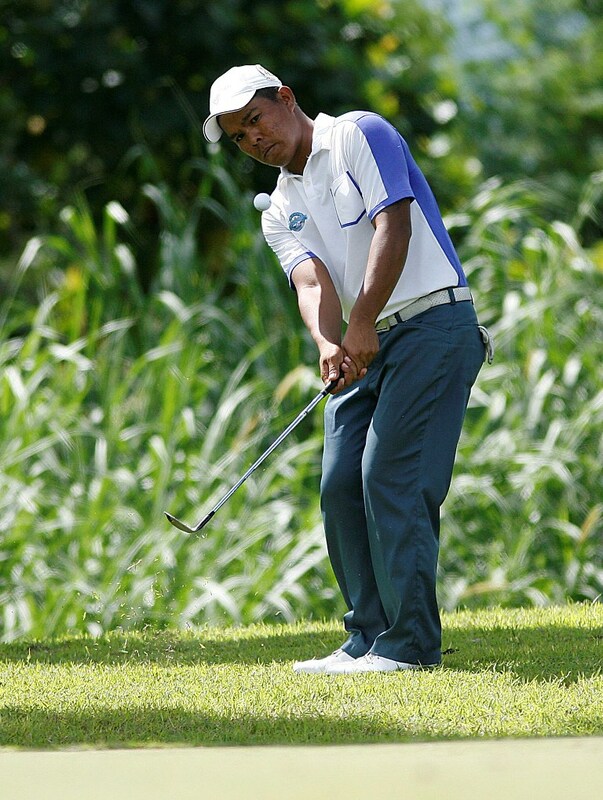 CANLUBANG – Jessie Balasabas kept pounding Cangolf’s North layout – and the field – with another bogey-free five-under 67 and pulled away by five over defending champion Cassius Casas and two others halfway through the ICTSI Canlubang Golf Invitational here Wednesday. Flashing the same form he flaunted in his opening 66, Balasabas bucked a late tee-off at the backside and the scorching heat and closed out his stint with three birdies in the last four holes before adding two more at the front for a 34-33 card. With an 11-under 133 total, the former amateur hotshot stood five clear of the fancied Casas and lesser lights Dante Becierra and Keanu Jahns and moved 36 holes away from scoring a breakthrough victory on ICTSI Philippine Golf Tour. “I hit solid tee shots and hit 15 greens. I also putted well, so it’s pretty much like in the first round,” said Balasabas in Pilipino. Six other players also churned out under-par scores for the second straight day with Casas and Balasabas adding similar 70s to their opening 68s and Jahns moving up with a 68 after a 70 for 138s. But Balasabas proved to be the steadiest, going bogey-free in the first 36 holes of the P1.5 million tournament sponsored by International Container Terminal Services, Inc. In contrast, Casas, who nipped Clyde Mondilla on the second playoff hole to rule this event last year, overcame poor form with good recoveries, saving pars eight times. He also rued poor putting, flubbing a couple of birdie putts from close range. 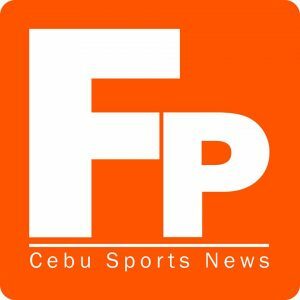 Becierra, also chasing for his maiden win in the circuit organized by Pilipinas Golf Tournaments, Inc., looked headed for another explosive outing with a 33 at the front. But the former Hong Kong Amateur Open champion lost his touch at the back, bogeying the 18th for that 70. Jahns also sizzled at the back with a 33 but like Becierra, the Fil-German, whose best finish was joint 12th at ICTSI Orchard Championship last June, failed to sustain his charge and went on a rollercoaster finish of two bogeys against three birdies for that 68. Mondilla, out to atone for his playoff loss, shrugged off his double-bogey start on No. 1 with five birdies for a 69 but fell six strokes behind at 139 in the company of Jhonnel Ababa and ICTSI Sherwood Hills leg winner Charles Hong, who both made 69s. Zanie Boy Gialon, who started the day just one shot behind Balasabas, never recovered from a bogey start and fumbled with three bogeys against the same number of birdies to finish a 73, tumbling from second to eighth at 140. Robert Pactolerin, a multiple winner here at Cangolf during his prime, carded a 70 to join Marvin Dumandan, who matched par 72, Mhark Fernando, who hobbled with a 73, and Japanese amateur Yuto Katsuragawa, who also had a 72, at 142. ICTSI Summit Golf Classic winner Arnold Villacencio, bounced back from a disastrous opening of 76 with a five-under 67 but stayed way behind at 143, 10 strokes off Balasabas with 36 holes left to play in the event backed by Nike Golf, Pacsports Phils. Inc., Srixon, Callaway, Mizuno, Empire Golf, Footjoy, Titleist, Custom Clubmakers, Sharp, KZG and Rudy Project.